When you think of reality TV shows, you think ‘Keeping up with the Kardashians’ or the ‘Real Housewives’ franchise. They’re the type of shows many people watch (it is a riDICulously popular genre) to check out of their real lives and gawk and marvel and the scripted hilarity that happens in these pseudo-celebrities’ lives. But what if this uber popular type of show were used as a vehicle to send an important message? Don’t plan on Kim K or her Krew to be discussing women’s rights or anything similar any time soon, but we have found a show that does! It is a Norwegian production called ‘Sweatshop: Deadly Fashion‘ spearheaded by the nation’s biggest newspaper Aftenposten. 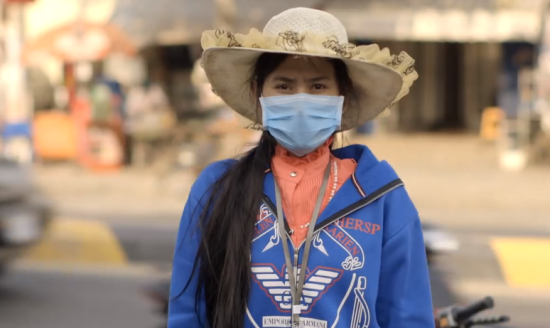 They sent three fashion bloggers to work in a Cambodian garment factory in Phnom Penh for a month. The transformation of the trio, made up of Anniken, Frida, and Ludvig, is astounding, as they seek to discover how the clothes they wear and blog about are actually made. But after returning home to Norway, 17 year old Anniken lashed out at both Aftenposten for not showing more of the horrific scenes they saw in the factory, and clothing giant H&M for not properly addressing the issue of slave labor. “We were told that we were not allowed to mention in the newspapers nor in the media after the series,” she wrote. During the program she had explicitly stated that clothing chain H & M is the world’s worst working conditions for textile workers in Cambodia. She said the experience was life-changing for her and the other bloggers, so she finds it strange that the newspaper who produced the series aren’t being as open and honest about what H&M are possibly contributing to. Of course, H&M are denying that they underpay their laborers. The series first aired in May 2014 and has since been viewed more than 1.5 million times. Early on, Anniken asked, referring to the workers, “How many do you think die each year?” The bloggers mused that workers must be “used to” their harsh lives. By the end, they were holding tear-filled one-on-one interviews with the workers and railing against the fashion companies that they themselves have frequented. Cambodia was once seen as a model for other textile producing countries, but worsening safety standards and flat wages prompted widespread protests last year. The government eventually raised the minimum wage from $80 a month to $128, but only after police shot and killed five workers, reported Quartz.com. That wage is still lower than the $160 protesters had originally demanded. May Sopheaktra, president of the Cambodian Alliance of Trade Unions, told Voice of America that union members are still being fired from their jobs. After the Bangladesh factory fire in early 2013, the standards of garment and textile factory conditions were given headline news around the world. The issue of workers being underpaid has long been discussed, but compounding problems have made it harder and harder to ignore. New York-based model Sara Ziff who started fashion advocate group The Model Alliance (to implement labor standards of protection for underage models) made a documentary about the Bangladesh textile industry, which is the second largest in the world. Her mission was to raise awareness about people in Bangladesh are being killed or attacked for standing up for better working conditions, and to also implement social consciousness into society so we start to question big brands and corporations about how they manufacture the products we enjoy here in the first world. This five-part Norwegian series may be called into question by its stars, but it brings an important issue to light in a medium that has the power to influence many minds. When the media starts to give airtime to a controversial issue, we start to see action. We’ve seen how the intense global pressure forced the Indian government to act after the news of a girl being gang-raped on a bus in Delhi in 2012 went viral. Slave labor is no joke, it is worth far more than a five-part reality web series. It is a human rights issue. Despite what one of the young bloggers says about the paper, we’re applauding Aftenposten for making a series that engages young minds to think outside the reach of pop culture, and into a world which is crying out for change and advocacy.